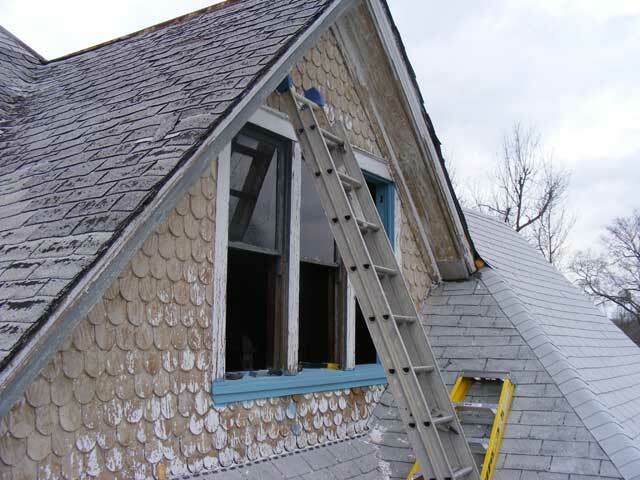 Well, after spending several weekends of rooftop acrobatics getting this dormer ready for paint…lots of scraping, manufacturing new and repairing some fishscales, reattaching many of the rest, repairing the trim, and rebuilding the sills, I finally got to the point where it was time to paint. Well, it means I get to buy another tool of course! 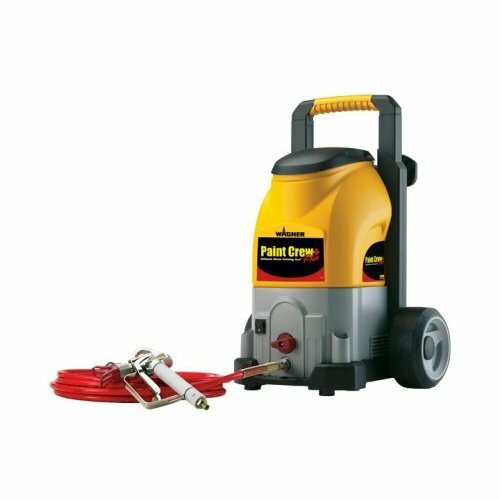 The Wagner 0515010T Paint Crew Plus Paint Sprayer. I bought a reconditioned one for $125 or so. From the reviews it seemed stout enough to do the work I need on this house without getting into professional pricing. edit: I lost. It worked fantastically for the first couple of uses, then, despite meticulous cleaning per the directions, the regulator failed. It is not user replaceable and estimates from the “authorized Wagner repair center” for repair were far in excess of the purchase price. I purchased a professional grade airless rig…with this house and the purchase of the historic building on the square…we’re going to need it. Ooh, are you painting it turquoise, or is that just weir primer?